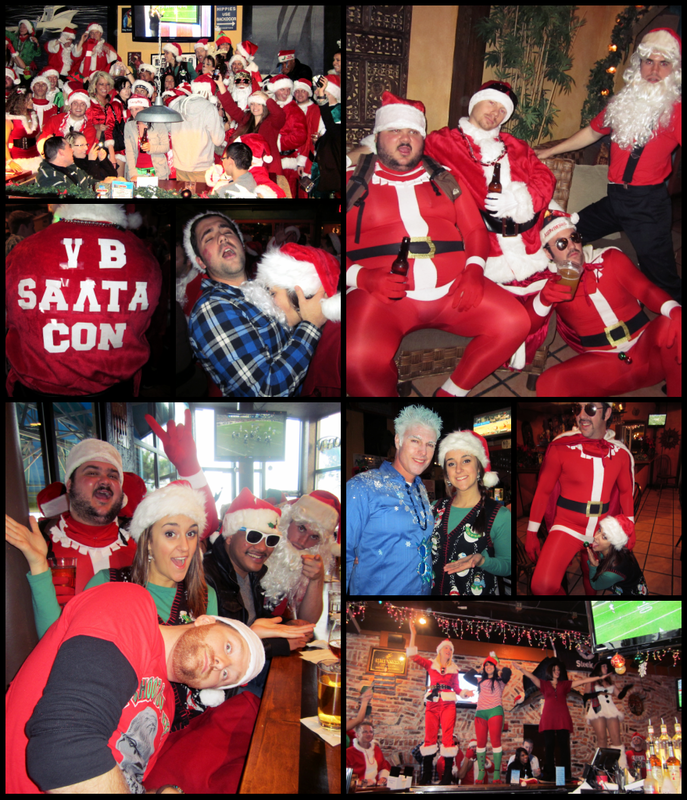 I first heard of the NYC SantaCon from my fellow MTV TJ friends, then saw there was a fun bar crawl in DC, and then went into depression because I'd be missing out. 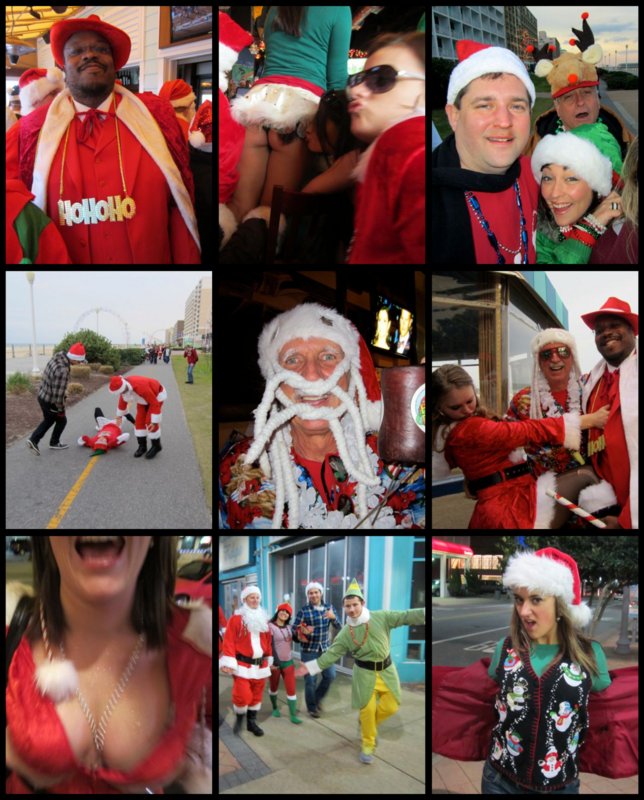 THEN... we found out Virginia Beach was popping its SantaCon cherry this year! I didn't know what to expect since it was the first one for the area, but considering it was mostly promoted solely though Facebook, it was pretty damn good! I'd say there was a solid 70+ people strolling through the Oceanfront all afternoon. Though I only made it to about 5 bars between 3-7pm thanks to having to work, they went at least 3 hours longer than me. 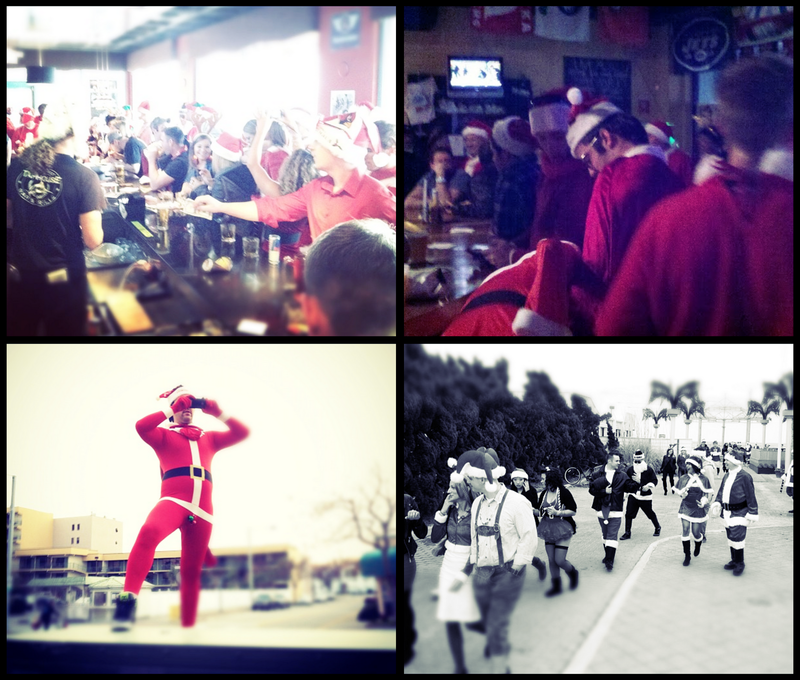 Everyone was super rowdy and obnoxious, just the way you should be during the holidays on a Saturday afternoon. Every couple of minutes the group would chant anything from "HO! HO! HO! HO!" to "When I say Santa, You say HO!" And everything in-between. It was one of the most beautiful things I've seen in a while. As for the costumes, most people were in fact dressed like Santa, but there was also a solid Jack Frost, some elves, and the less prepared like me- ugly Christmas sweaters. The most prominent: Men wearing spandex body suits with added accessories like hanging bells from their balls. Yes. Please notice the casual inappropriateness of the top right corner. Click here for my entire album on Facebook! and see how my night ended, with some seriously split pants, here. If you have any pics from the event, leave a link in the comment box so we can all share! Someone posted these pictures that show more of the timeline and random people... and of course more of the crazy.